Idalin is founder of TechActivist.Org, a grassroot organization providing free technical training and political education workshops to working-class youth, activists, and disruptors interested in using technology for social good. Coming from a poor Afro-Latinx community in North Philadelphia, PA, Idalin witnessed firsthand how the people most impacted by social ills were and still are on the losing side of the digital, educational, and economic divide. That understanding led her to dedicate herself to work directly with organizations that are focused on social change and are part of the communities they serve. Through her tech literacy programs, Idalin provides hands-on workshops introducing communities to digital media tools, digital security, open source, web development, and emerging technology like virtual reality. 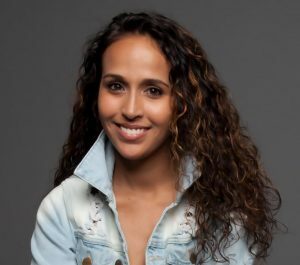 Prior to TechActivist.Org, she served as the Global Social Justice Lead and Senior IT Consultant at ThoughtWorks, where she provided tech support to social justice organizations worldwide. Idalin has impacted thousands of men, women and children globally with her work in tech literacy and empowerment. Her work includes spearheading tech initiatives within organizations like Hands Up United, India Rise, Qeyno Labs Hackathons, #YesWeCode and Black Girls CODE. Idalin received her Bachelor’s Degree in Marketing and Applied Statistics from Indiana University of Pennsylvania and is a proud alumna of the Lokey Graduate School of Business at Mills College, where she received her Master’s degree in Business Administration with a focus on technology and human-centered design. She is influenced by the work of the Black Panther Party, specifically the 10th Point of the party’s 10-Point Platform, “Community Control of Modern Technology” and Dr. Martin Luther King’s Poor People’s Campaign. She loves R&B and Reggae, rice & beans, resides in New York City and is currently building out a movement incubator with the People’s Forum. Connect with her via Twitter: @IdalinBobe.